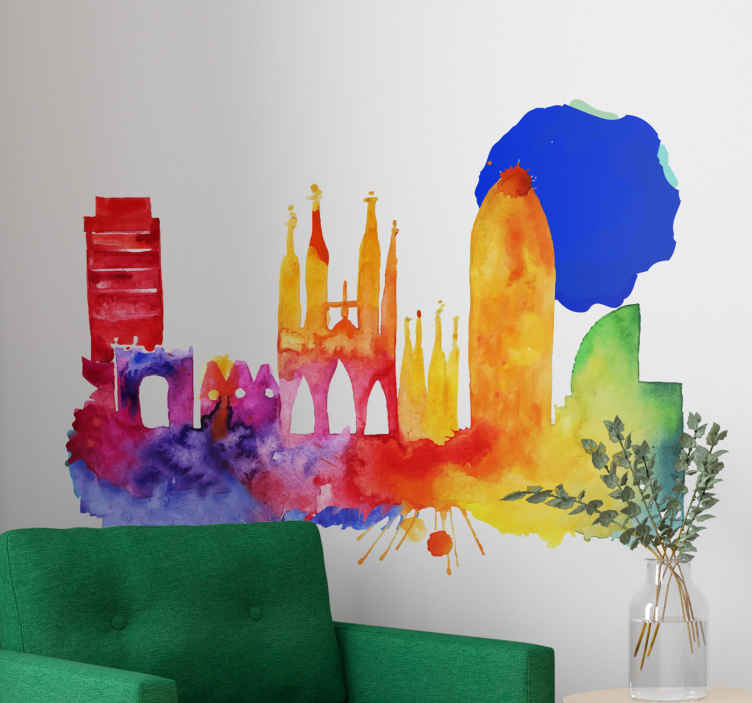 This colorful artistic sticker depicts the spectacular Barcelona skyline at night time. The multi-colored sticker adds a unique style to any room. It creates a joyful atmosphere and is a reminder of the vibrant and cultural city that we all know and love. The amazing view of Barcelona shining in the night was photographed by Latent Estudi. The decorative sticker brightens up the walls of any home and is ideal as a bedroom or living room decal.